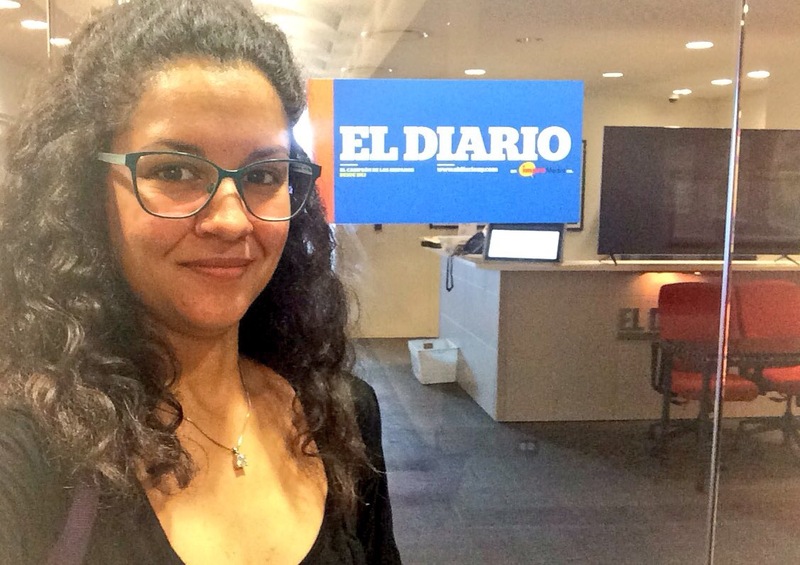 General Reporting with El Diario NY – Jesenia De Moya C.
During my first semester at the CUNYJ School, I started working with Carmen Villavicencio, the Executive Editor for El Diario NY. She was always available and willing to work on my daybook and enterprise stories, while I developed a better understanding and engagement with the communities of Washington Heights and Inwood, and NYC as a whole. El Diario NY, Arts and Culture: 5ta Bienal de Arte Latinoamericano de El Bronx. El Diario NY, Faith and Religion: Firmes en su fe a la Virgen de las Mercedes en El Bronx. El Diario NY, Arts and Culture: Dualidad artística acerca a caribeños de NYC. El Diario NY, Metro: Neoyorquinos se educan sobre derechos del inmigrante. Editor’s Note: This post was updated to include the Fall internship opportunity I was given to report and aggregate content for the newspaper’s website, between September and November, 2017.